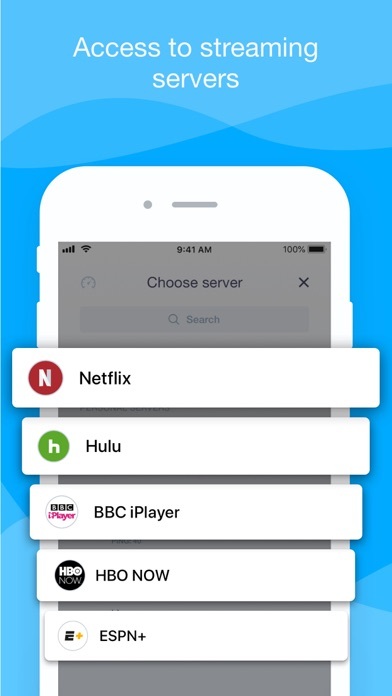 Each recent app update makes the VPN service worse. 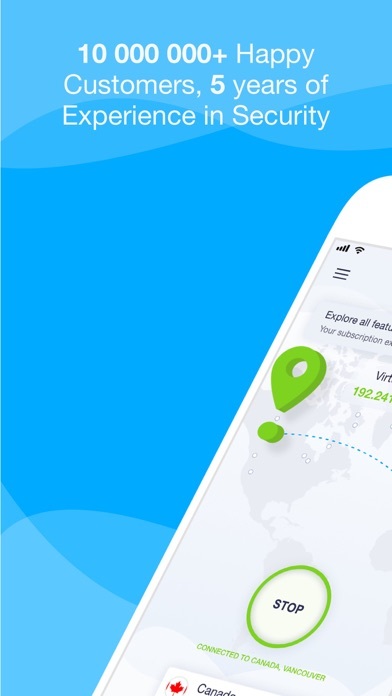 The latest causes the VPN servers to squash your internet connection in around 10 minutes, forcing you to disconnect and reconnect repeatedly. 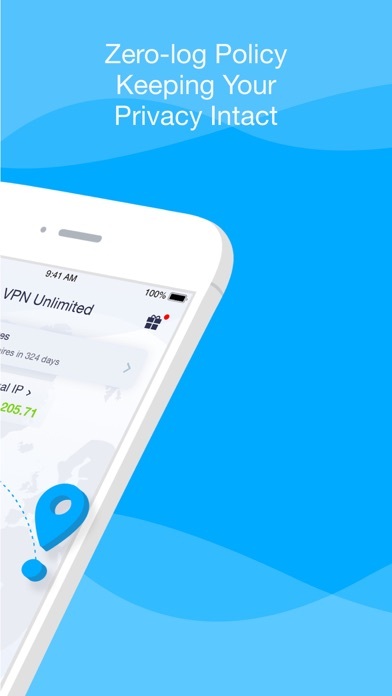 Avoid this VPN service until the programmers figure out what they're doing. They obviously haven't heard of the KISS principle, or if it's not broken don't fix it. Update: No, I will not switch to a less secure protocol due to bugs created by your programmers. I have switched to other VPN services on the devices I have updated. Older versions of the app work fine, which singles out the updated app as the problem. Update 2: The VPN still has connection problems. There have been SIX versions/updates with downgrades, and they still can't get things working correctly. 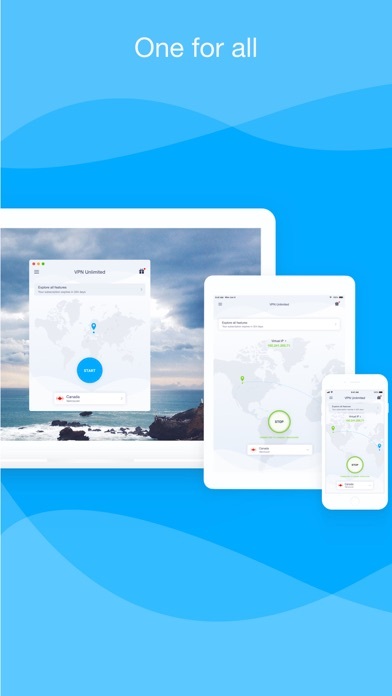 It's a shame, as they were one of the best VPN providers. Update 3: There are still the same problems. Now server speeds are a slow crawl. Update 4: I have to give credit where credit is due. 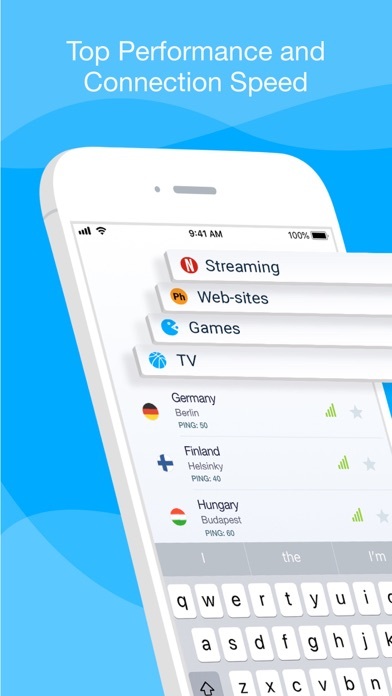 They seem to be the only VPN with Open VPN integrated into their app. Also, they seem to be one of the few VPNs that stays active when the device goes to sleep. Their servers mostly seem to be working. They still still seem to kick in the kill switch, despite the VPN logo still showing, cutting off internet data after a random amount of time. This forces you to have to disconnect and reconnect, meaning sometimes missing out on important notifications. My biggest complaints is the firewall options being moved to the website. Please bring these back to the app to make it easier & quicker to switch the level as needed. Update 5: They have removed support for the firewall options even from the older versions. Please add them back to the new version. Also, the connection disconnects and needs to reconnect at least every couple hours. Customer support never responds. I am supposed to be on lifetime plan. Yet it forces me to ‘trust’ any WIFI to use the WiFi and displays my real IP. It seems to work okay when it’s on but the problem is it keeps disconnecting but it still says VPN at the top of my iPhone. I never truly know when it’s on or not unless i open the app because when I open it, it says connect as if it’s not even connected. Occasionally it makes me allow it again on my phone too or logs me out. I don’t think it’s supposed to function like that. Also once it is on, it’s almost impossible to make a video call with someone and I know it’s the app because when I turn my vpn off I can make video calls no problem. I’m glad I only bought 3 months. I won’t buy it again. They don't make it clear the 7 day subscription is auto renewed. That is shady, and if you're reading this you should know that a VPN connection needs to be above all else trustworthy. Not only was it not clear in the app, support claimed it was mentioned in the receipt. I received an email after purchase that made zero mention of it being an automatic renewal. An honest company would have put that info in the email receipt. This is disappointing. I can’t access the majority of my apps with the VPN on. I used another VPN and I could access all but two with that VPN on. Very easy to use. Quick and seamless. I have VPN Unlimited on my desktop mac, on my iPad and my iPhone. Works great on all three. I would give it 5 stars only reason I don’t is because when I wanna watch Netflix they say I’m using an unknown Proxy that won’t allow me me to stream anything on there there for I have to uninstall the app just to use it and reinstall once I’m done. Is it possible you can fix this so I don’t have to go through the trouble of doing this? 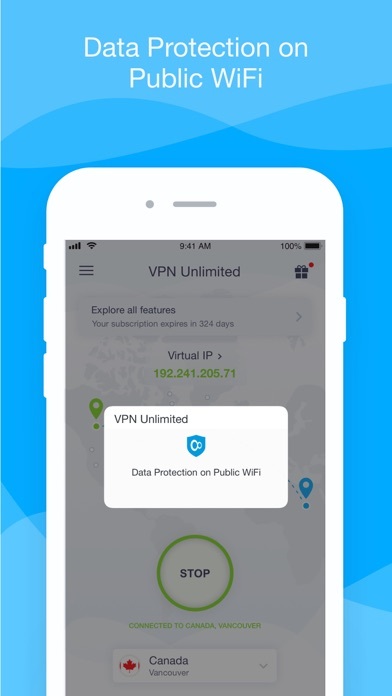 And keep my VPN and mobile secure without compromising my data?